Got a wedding or big event planned? 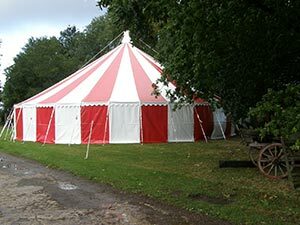 As marquee hire Norwich specialists, we’re on hand to answer any questions you might have and to guide you through the rental process. When it comes time to hire your marquee, there’s lots you need to think about. So, to help you out, we’ve compiled this list of top tips. The sooner you can arrange your marquee the better. Not only will this give you peace of mind that your venue is sorted, it will also give you a better chance of hiring exactly the marquee you want. Seriously consider the numbers for your event and choose a marquee that can comfortably fit them all in. Hiring a too big marquee is much better than hiring a marque that is too small. Consider where you are going to pitch the marquee. Is it a site that could flood? Is it flat? Are there obstacles in the way? These are all considerations that often get overlooked. You can book your marquee well in advance, but don’t forget to confirm before the big day. There are still delivery and pitching details to sort out and communication is very important.